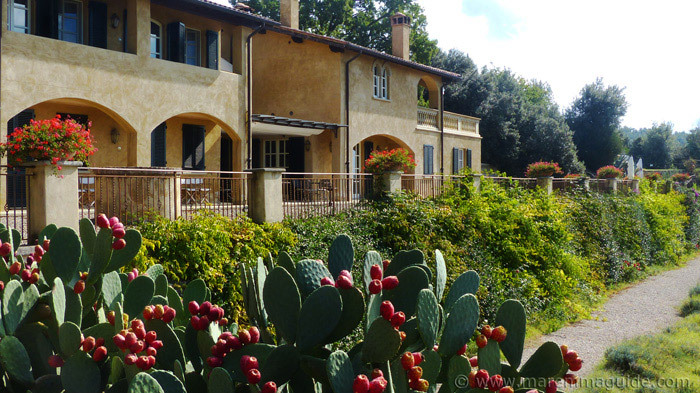 The very best Maremma accommodation: special places to stay in Tuscany that make dreams come true. Each one offers a different and unique experience in this very special part of Tuscany and Lazio. The best apartments, bed and breakfasts, farmhouses, hotels and villas, as well some fabulous self-catering options that include atmospheric medieval towers overlooking the sea with paths down to tiny private coves. 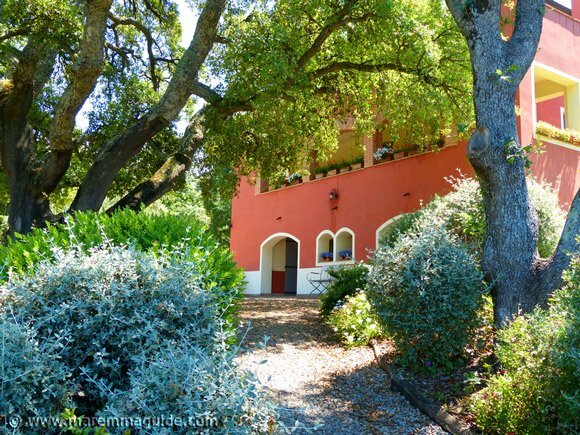 If you are looking to self-cater in Maremma then my pick of the very best Maremma apartments will leave you spinning with the choice of experience that they offer. 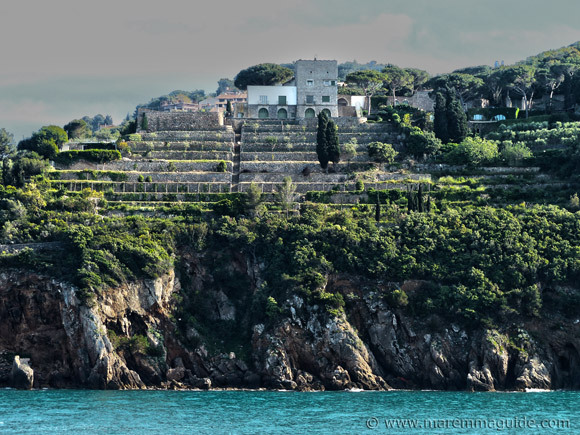 From vacation apartments in an entire restored medieval hamlet with an infinity swimming pool with a view of Tuscany that you will never forget, to a farmhouse with modern accommodation only a few minutes drive from the Silver Coast of beautiful Monte Argentario and a breakfast spread that will have you skipping lunch. To traditional Tuscan style - open fireplaces and all - only ten minutes away from a natural hot thermal spa made by gods. Take a look and you will probably end up changing your holiday route in order to stay in them all! 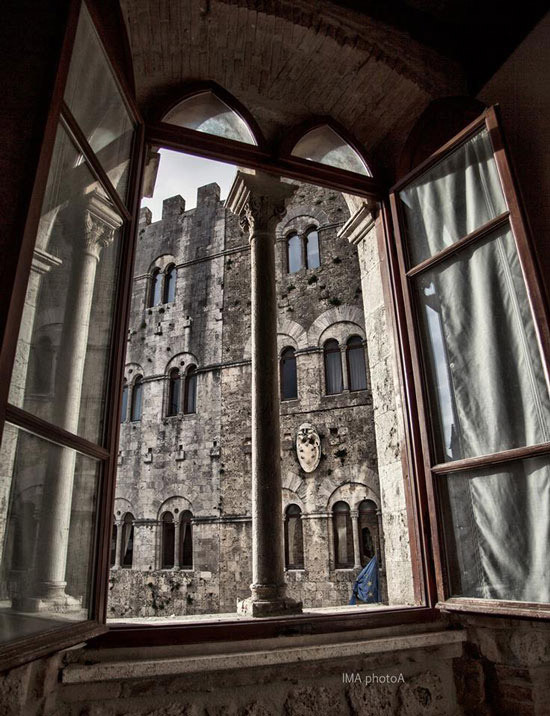 A touch of luxury a stone's throw from a stunning medieval castle and the sea, a contemporary twist in Morellino di Scansano wine country, and a home from home in a special Etruscan and Roman archeological park a short drive from the very special thermal pools of Saturnia. 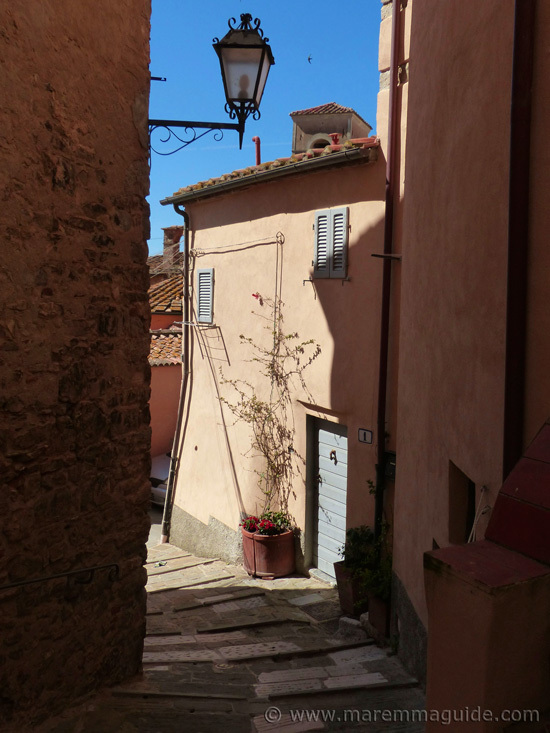 Maremma B&B's are anything but dull! The best Maremma bed and breakfasts. 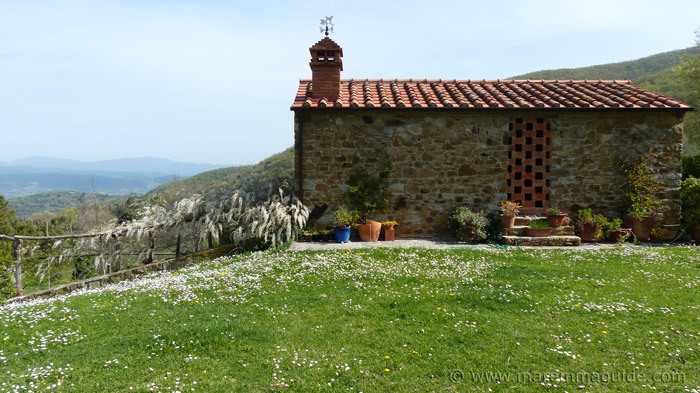 There is an incredible choice of farmhouse accommodation in Maremma as this part of Tuscany and Lazio is nearly all agricultural land or woodlands, and you could spend all day checking-out the best available in just one location. But you don't have to. These three of the very best will take you from a restored traditional stone farmhouse in chestnut woods close to an incredible thermal landscape, a hilltop vineyard with panoramic valley views, and a touch of legend with fabulous food, vespa rides and cooking classes. 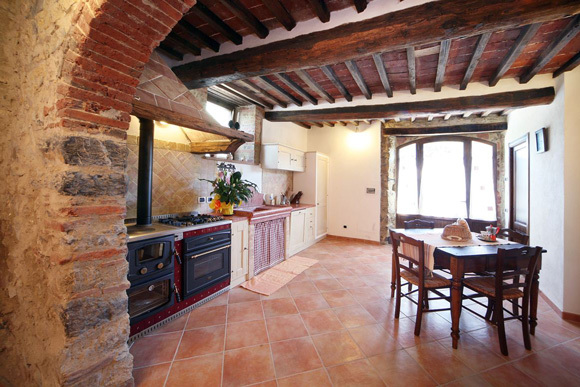 The best farmhouses in Maremma. The first is a small eight room hotel tucked away in a quiet village in Maremma but the experience of staying there and the wonderful hospitality of its owners ranks it amongst the top twenty hotels in the whole of Tuscany. Worth taking a look don't you think? The best hotel in Maremma. 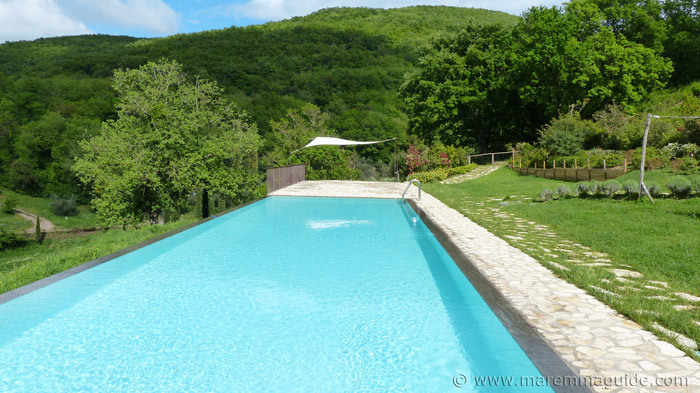 My pick of the best villas in Maremma starts with a beautiful private villa with nothing less than stunning panoramic views, an infinity swimming pool, its own winery and vineyards. And a stable with beautiful horses to simply stroker each day or ride to your hearts content. The best of Maremma villas. If that sounds like you, take a look at these two - very different - holiday homes in Maremma that will leaving you wanting for nothing. Immersed in the forest of a nature reserve that reaches all the way down to the sea, Margherita and Sergio's Poggio La Croce cottages are a haven of peace and quiet. 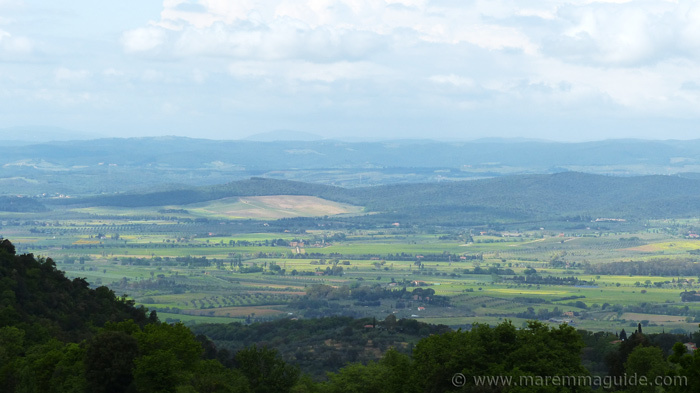 All on the doorstep of some of Maremma's most magnificent places to visit. One old cottage - with an intriguing medieval history - and seven brand new, ecologically friendly ones. That come with everything you could want for a superb holiday. And a stunning view. And an infinity pool you won't be able to resist of a morning. Or afternoon. Or evening! Holidays here will leave you rested in a way you probably haven't felt for years. For when your daydreams are filled with thoughts of opening your front door in a pretty hill top town in Tuscany. Wandering down to the bakers for fresh bread and biscuits for your breakfast. Putting the kettle on and opening your shutters to let the sun stream in. To be spellbound by a view. Then I have the place for you. Ann's home. A medieval house in a stunning location that you won't want to leave. When a wonderful Maremma holiday property has a special offer you will find it here: but don't take too long to check them out because the offers don't last that long and they go like hot cakes! Click on over to the best accommodation in Maremma special offers page.